Fifth graders are learning about ecosystems, how they work and the interactions between living and non-living things that inhabit them. 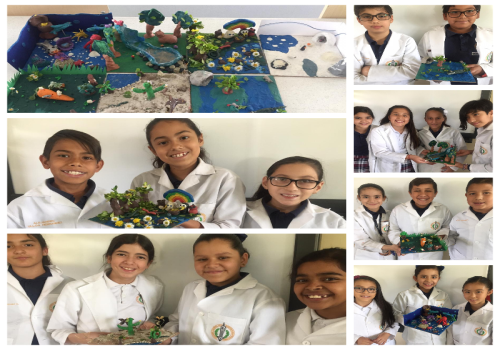 The tundra, desert, forest, rainforest, wetland, ocean and grassland were studied prevoulsy in order to build a model that would represent all parts of each ecosystem. Everyone participated in this project with a lot of dedication and creativity. Without a doubt teamwork was reflected in their final results.